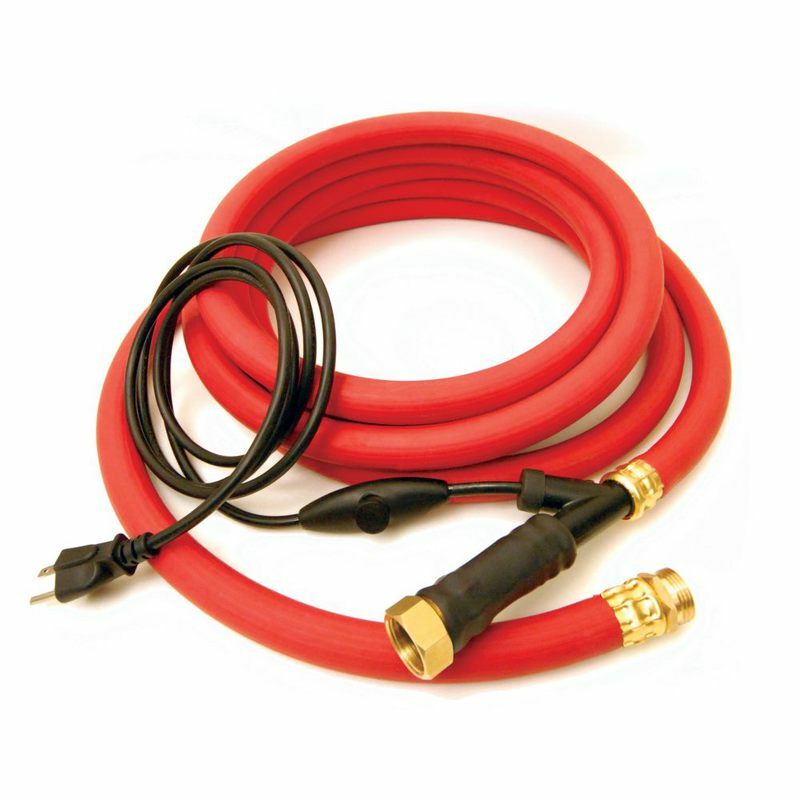 K&H Pet Products Thermo-Hose Rubber Large Red 720" x 1.5" x 1.5"
This great product invention is easy to use, just plug it in and heat the hose for 20 minutes and you will have a ice-free flexible hose to use! Take the head-ache out of having to use a hose in cold weather. Uses around the Farm and Home: filling stock tanks, filling Hot tubs, filling ponds and water gardens, cleaning dog kennels, great around the barn, handy around the job site, dozens of other uses! Disconnect from water source when not in use. Dimensions: 720" x 1.5" x 1.5"
19" x 19" x 5"